Ever been fascinated by hurricanes or wondered how in the world people fly safely into them? Have a passion for flying and love viewing various aircraft? Check out this 2-minute video about what it's like to be a Hurricane Hunter, then mark your calendar for the 2018 Hurricane Awareness Tour in Nederland, Texas on May 8th! As part of a week-long tour along the Gulf Coast, the NOAA Hurricane Hunters will be making a stop at Jack Brooks Regional Airport. 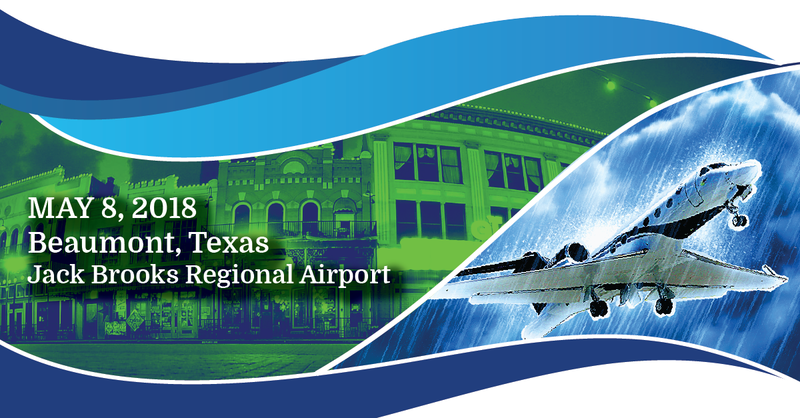 Come tour two of the Hurricane Hunter aircraft, speak with the pilots, and walk through vendor exhibits from various local agencies and organizations. The event is FREE and the public is invited to attend from 2 pm to 5 pm! Once on Jerry Ware Dr, head south towards the traffic circle. Parking will be available in the lot on your left as you approach the circle.